Thomas Rogne has won his first call-up to the full Norway squad for the Euro 2012 qualifier with Denmark. Thomas Rogne has been called into the Norway’s full squad for the first time in his career. The Celtic defender, who has been capped at Under-19 and Under-21 level for his country, is in Egil Olsen’s pool for the Euro 2012 qualifier with Denmark on March 26. 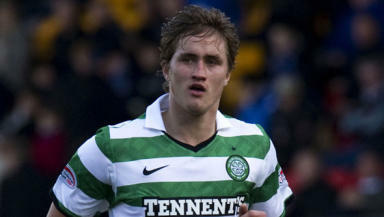 Rogne, who moved to Celtic in January 2010 from Stabaek, replaces the injured Vadim Demidov in the squad. The 20-year-old defender hasn’t started for Celtic since the 4-1 win over Aberdeen in the Co-operative Insurance Cup semi-finals on January 29, going off injured in the second half against Craig Brown’s side. Injury and the form of Charlie Mulgrew and Daniel Majstorovic in his absence has kept Rogne on the bench, before his return to action as a substitute in the recent win over Hamilton, in which Swedish stopper Majstorovic was also forced off injured. Since his move, Rogne has featured 20 times for Neil Lennon’s side, scoring twice. Norway currently top their qualification group for Euro 2012, having won their first three games against Cyprus, Iceland and Portugal.